Whoever told you that chocolate isn’t good for you lied! Now I’m not talking about the over processed, sugar laden chocolate that you find on the shelf in the supermarket. I’m talking about the real stuff. Cacao! 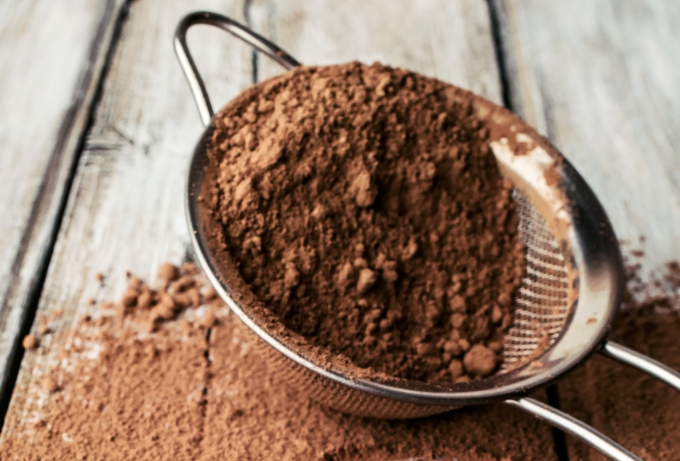 The mother of modern chocolate doesn’t just taste great, it’s full of immune boosting antioxidants too making it the perfect addition to your morning smoothie. The bitter chocolate taste of cacao is perfectly balanced with the sweetness if fruits like banana and orange. Adding avocado and cacao to your smoothies also makes for a silky smooth chocolatey treat that’s packed with health boosting nutrients. I’ll be sharing my favourite dairy free chocolate recipe on the blog soon, so keep your eyes peeled. Do you love cacao as much as I do? I’d love to hear about your favourite cacao recipes in the comments. You can like my Kale & Cupcakes page on Facebook to stay up to date with the latest posts from the blog. You’ll also find me posting pics of my favourite plant powered recipes over on Instagram. You can also keep up to date with all the latest on Bloglovin & Twitter. Be sure to stop by and say hi!